As a result of fears that some pension savers are making poor and uninformed choices, MPs on the Work and Pensions Committee have launched a review into the retirement income market. Some of the reasons behind this are people are falling for pension scams, and taking money out of their pension early could be putting their future financial security at risk. 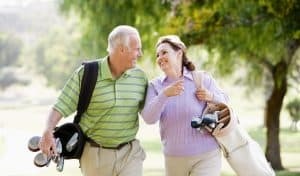 The Financial Conduct Authority has found that taking cash out of pensions before the age of 65 is becoming more popular, with most people opting to take out a cash lump-sum. This could mean running out of money in later life and possibly being stung with higher than necessary tax bills. For people who are unfamiliar with the complexities and choices available when looking at their pension options, making the right choices can be very difficult. You don’t have to take your pension from your current pension provider, you can opt to keep your pension pot invested and draw cash from it, or take a lump sum out of it, or even take out the whole lot! Each option has its pluses and minuses. The only way to make an informed choice is to take professional pensions and financial planning advice from your qualified local Financial Adviser. At Four Oaks Financial Services, our initial consultation is at our cost. Contact your Adviser or our Client Liaison Team to make an appointment. Paraplanner, Mark Banks has passed his Investment Risk & Principles Unit 3 Examination. Mark passed this exam first time after studying, revising and taking a mock exam in preparation. 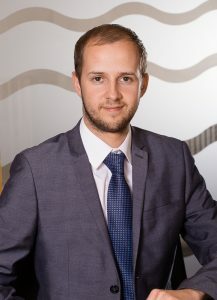 Mark is a valued member of our support team working with our qualified Financial Advisers who give financial advice in the Tamworth and Lichfield area. The syllabus included taxation of investments, attitude to risk – essential for when working on client fact finds, learning the techniques and best practice to successfully assess a client’s needs in order to recommend the most suitable products, and how to calculate investment performance. The keen eyed amongst our clients may have noticed that Lynsey has changed her name since Christmas. On the 29th December our Practice Manager, Lynsey Dyche married her fiancé Ben Mason. 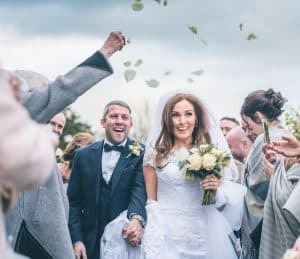 They had a fairy-tale wedding in the Cotswolds. The wedding ceremony was held in Boreton-on-the-Hill at St Lawrence’s church, and their fantastic wedding reception was held at Hyde House in Stow-on-the-Wold. Many of the team at Four Oaks Financial Services were in attendance with their partners and were made very welcome by the Dyche and Mason families. Lynsey looked absolutely stunning. Lynsey and Ben’s wedding cake was a very stylish three tier, decorated with winter fruits and white roses. All the guests had the opportunity to record a message on video to help them celebrate and look back on their special day. Lynsey and Ben spent their minimoon in sunny Tenerife. The whole team at Four Oaks Financial Services wishes them health, wealth and happiness in their life together. We are very proud and keen supporters of local Sutton Coldfield charity Buddy Bag Foundation. We not only promote what they do and help pack the buddy bags, we also get behind this wonderful cause as individuals. 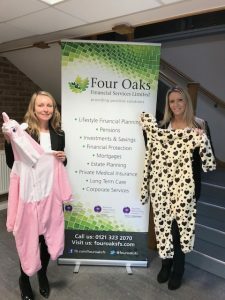 The Four Oaks Financial Services team set a goal to gather 30 new onesies for boys and girls aged 4 to 6 years. And we’ve done it!! This has been coordinated by our receptionist and part-time photographer Lisa Arnold. Are You In Danger Of Wasting Your Tax Free ISA Allowance? Do you know that you have a tax free ISA allowance? Do you know that you get this every year and if you don’t use it your lose it? Do you know we are having an ISA morning on 15th February? Drop in anytime between 9.30am and 12.30am. With interest rates remaining at really low levels it is really important that you maximise the benefit you can get from your savings. Don’t let the tax-man take some of your interest earnings. Instead make sure you have taken advantage of your tax free ISA allowance which is £20,000 for the tax year 2017/2018. But you have to use this before 5th April 2018, and please don’t leave it to the last minute to talk to your Financial Adviser. 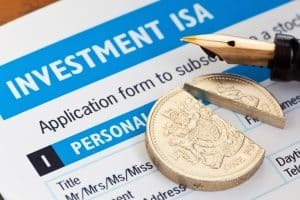 ISAs are such a good way for most people to save and invest that February and March are known as “ISA Season”. Talk to your Financial Adviser as soon as you can if you want to learn more about ISAs and which kind of ISA is best for you. Your Adviser can visit you at your home or place of work, or you can come to our office which is ideally situated between Lichfield, Tamworth and Sutton Coldfield, and we’ve got free parking for your convenience. Don’t delay, don’t miss the opportunity for tax free savings and use your ISA allowance for this tax year.